Italy was thus well adapted to support human life and attract invaders, and actually did so from very early times. Traces of Neanderthal not to mention palaeolithic man have been found, while remains of neolithic people, chalcolithic 'terramaricoli', and iron-using Villanovans are copious. Long before the rise of Rome, Italy was well populated and civilized from end to end. On the east coast were Illyrian immigrants: Veneti, Picentes, Messapii; these occasionally penetrated to the west. Hardy Sabelli, and the related Umbrians and Volsci held and tended to expand from the mountainous central regions. The southern coast lands comprised Magna Graecia. In the north Gauls began to settle c. 400. Various peoples inhabited the west; Ligurians , who were possibly of Neolithic stock and originally held a wider area; Etruscans; Latini and the related Falisci and Hernici; Aurunci-Ausones Oenotri (= Sicels?). 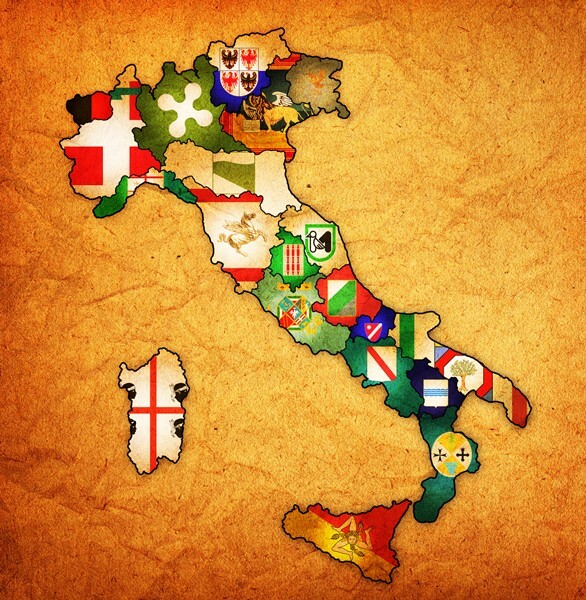 These various peoples differed greatly from one another in race, language and civilization, and Italy's mountainous configuration accentuated and perpetuated their mutual divergencies. But ultimately they were united under the hegemony of Rome. Her political unification of Italy, however, was a protracted task finally accomplished only in Augustus' day. The romanization of Italy took much longer and indeed was never fully achieved. 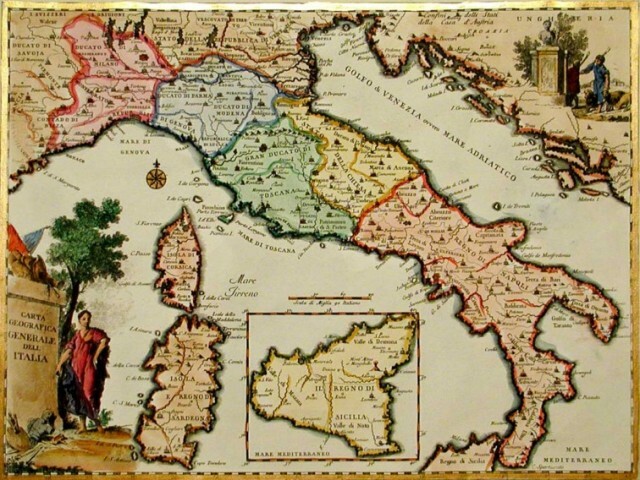 This arrangement lasted almost unaltered until Constantine's time, when the islands were customarily included in Italy.